We want to thank you all for your submissions to the name the cookbook contest. There were some excellent submissions. We are happy to announce the winner, Anne Schultz of Marshall,Texas. The title of our new cookbook is Lagniappe(an extra gift). We are ready to accept recipes for this cookbook. 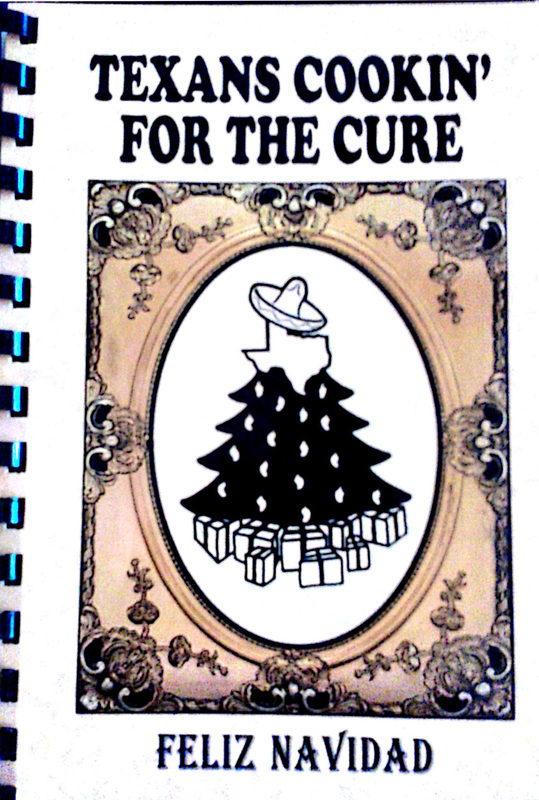 You can submit via TexansCookinForTheCure.org and click on the “contact us” tab (above). This will be a general cookbook so feel free to submit various types of recipes. We ask that you submit no more than three/person. We will also have an in memory of or in honor of your loved ones Tribute page for those who have survived cancer or remember those that lost the battle. This will be available to all at the rate of $5/name submitted for print and inclusion in the cookbook. Some history of our organization and contributions. 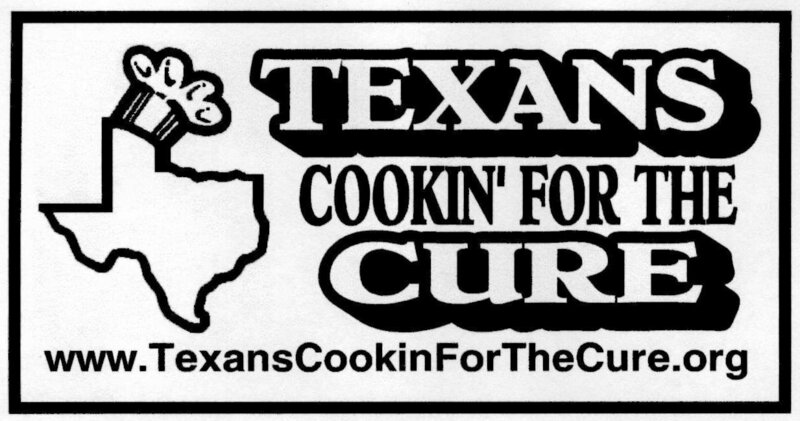 Texans Cookin’ for the Cure was first established in honor of Michele’s mother, Darlene Axberg, in 2005 as part of the ACS event Relay for Life. Initially all funds raised went to the ACS via Relay for Life to help fulfill our mission. After several years we realized how little of the contributions through ACS actually go to help fund research and assist those in need while undergoing treatment. The reality is, in our opinion, a large portion of donations to ACS are actually spent on “administrative” fees. The decision was then made that money raised through our cookbooks and other fundraising events would be donated to patients and their families. At this time we intend to donate all proceeds to the Texas Oncology Foundation as they share our mission. Each of our board members volunteer 100% of their time and energy thus we have no administrative fees. We will also have advertisement pages available for business owners to purchase space in the cookbook and personal dedication space for those that wish to honor or remember a loved one with a brief history or story. The deadline to submit recipes is April 22, 2019 and the deadline for ad space and submissions for the memorial/honor page is April 1, 2019. Thanks! You are welcome to submit the name of your loved one in honor of them being a survivor or in memory of someone who lost their battle. The fee is $5.00 per name and will appear in our cookbook, Lagniappe(an extra gift) on the tribute page. You can submit name(s) above under the "contact us" tab and pay above by clicking on the "buy now" button. We are also happy to say that due to popular demand our cookbook, Feliz Navidad has published a 2nd edition. 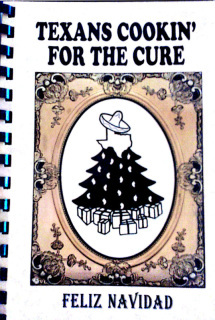 ​ Feliz Navidad contains over 200 authentic and Tex-Mex recipes. We are a small grassroots nonprofit organization that compiles and sells cookbooks as a fundraiser. ​Your cookbook purchase does make a difference! 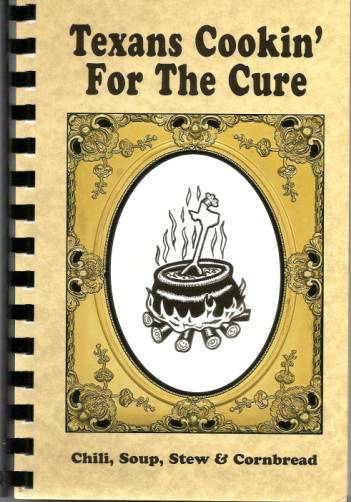 ​We have a limited number of our third cookbook, Chili, Soup, Stew & Cornbread remaining for purchase. A special note; it contains one of Terlingua's Chili Cook-off award winning recipes. SOLD OUT. 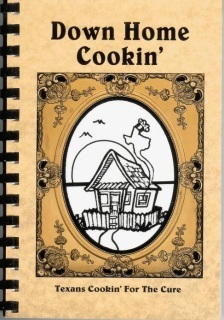 Our fourth cookbook, Down Home Cookin' contains recipes from some of Texas' finest cooks. SOLD OUT. 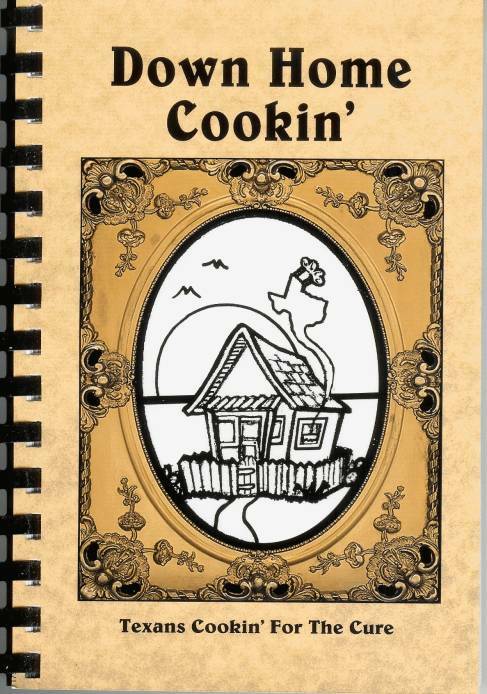 Our cookbooks are now available for purchase at the Women's Health Boutique located at 605 N. 6th Street Longview, Texas 75605. If you are making your purchase from the boutique, please be prepared to pay with cash or with check made payable to Texans Cookin' For The Cure. This helps the kind ladies at the boutique with book-keeping. Also, if making your purchase at the boutique or via an organization member your cost will be $10.00 each since there is no S&H involved. Or you can always purchase here via PayPal. ​ If you already own our cookbooks then you know how wonderful they are and that they support a very worthy cause. They make great gifts. In fact it's a gift that gives more than once! 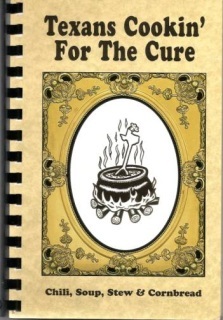 The organization, Texans Cookin' For The Cure, does not endorse any specific recipe as a cure for any disease.